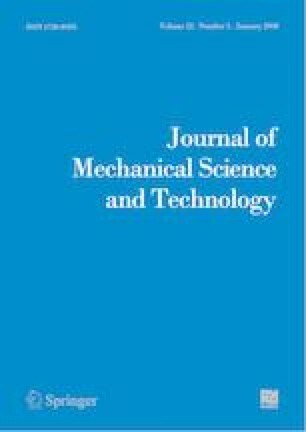 A numerical study has been conducted on thermal dissipation fin shape of the magnetron of a microwave oven. The main focus of the study was on reducing the bypass away from cooling air around cooling fins and enhancing the heat transfer around cylindrical anode body with numerical investigation on louver, slit, dimple and bending shape. To optimize the location and the shape of the elliptical dimple, RSM(DOE) was adopted to enhance the thermal dissipation from the cylindrical anode of magnetron. The flow separation around the anode was delayed due to optimized dimple numerically and verified by experimental study. The enhancement of the fin cooling was utilized for cost reduction of the cooling fin by reducing the thickness of the fin from 0.6 mm to 0.5 mm, resulting in weight saving by 16.7 %. Dong Ho Park is currently a Senior Engineer at Samsung Electronics. He received M.S. in Mechanical Engineering from Sogang University, Korea. His research interests are computational fluid dynamics, heat transfer and fluid dynamics. Eung Ryeol Seo, Ph.D., is currently a Master at Samsung Electronics in Korea. He received his Ph.D. in Mechanical Engineering from Texas Tech University in 2001. His main research area is CFD-based fan/duct design for home appliances. Myoung Keun Kwon is currently a Principal Engineer at Samsung Electronics. He received Ph.D. in Mechanical Engineering from Sungkyunkwan University, Korea in 2008. His research interests are in rarefied gas dynamics, vacuum technology and home appliances. Chang Seon Lee is currently a Vice President at Samsung Electronics in Korea. He received an M.S. in Mechanical Engineering from Korea University in 1993. His research interests are in fan design, refrigeration cycle and heat transfer.